Prices are subject to change. The cupola on Teahouses,Oblong,and Rectangular design Gazebos is an option for $175. For on site fees add an additional 30%. 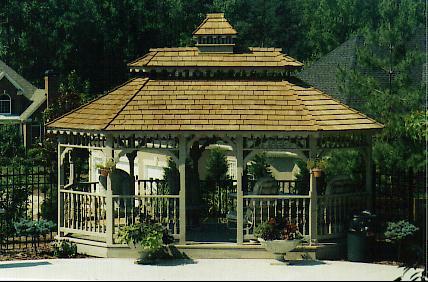 Hip roofs on all gazebos and teahouse by quote only. There is an approximate delivery fee of $300 for regular deliveries. A regular delivery would include 15 blocks for leveling, anything over would be extra.